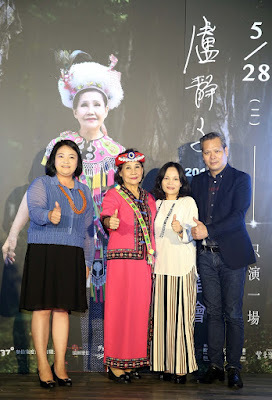 TAIPEI, April 17, 2019 – Today, The Prudential Life Insurance Company of Taiwan Inc. (Prudential of Taiwan, POT) launched its 2019 Financial Wellness Census Whitepaper on Taiwanese people’s financial health, along with a tailor-made financial wellness program for Taiwan-based companies and associations ― in a bid to proactively help Taiwanese families improve their financial lives. Immediate and long-term financial concerns ranging from managing day-to-day expenses to saving for retirement are the most common sources of stress, worry and anxiety among Taiwanese people, according to The State of Financial Wellness in Taiwan, the company’s Whitepaper based on a first-of-its-kind survey in Taiwan conducted in collaboration with the US-based parent group Prudential Financial Inc. The survey suggests that 46 percent of Taiwanese people are concerned about whether they can save or invest enough to achieve their long-term financial goals, while 68 percent of those surveyed agree that financial education resources provided by employers will help them improve financial literacy, which is pivotal to achieving financial well-being and can have significant payoffs for employers as well as the larger society. Financial stress is the biggest source of stress Taiwanese people face (34%). This is followed by stress at work (27%) and health-related stress (21%). The top reasons for financial stress include paying bills (57%), saving for retirement (49%) and paying the mortgage (25%). Such stress can be overwhelming and impact not just employees and their families but also workplace productivity. Respondents, despite feeling positive about their current financial situation, are worried about their future finances. For example, although most respondents (61%) feel they are financially stable, only nine percent believe they are financially secure. A lack of confidence in reaching long-term financial goals is also distinct. Nearly half of the respondents (46%) are concerned about whether they can save and invest enough towards achieving personal financial goals. Additionally, while 88% and 86% of those surveyed view preparing for future healthcare costs and long-term care needs as important, only about one third of all respondents feel they can save enough for these purposes (respectively 32% and 27%). Turning now to the general impression that the Taiwanese are good at saving money, the report reveals a surprising fact that one third of them have not prepared any emergency savings, while almost half of the respondents (49%) indicate they could not maintain their lifestyle longer than a year in the event of loss of regular income. Fortunately, the majority of Taiwanese people are interested in improving their financial health. 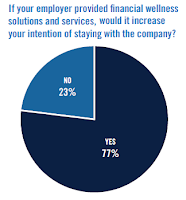 Over half of them would like to gain access to financial education resources, while 68 percent of all respondents point out that having their employers as providers of financial wellness programs would be helpful. To respond to Taiwanese people’s needs, POT is bringing a program for Financial Wellness to Taiwan. This program leverages the proven success of Prudential’s U.S. Financial Wellness program and customizes that program to meet the specific needs of Taiwanese people. 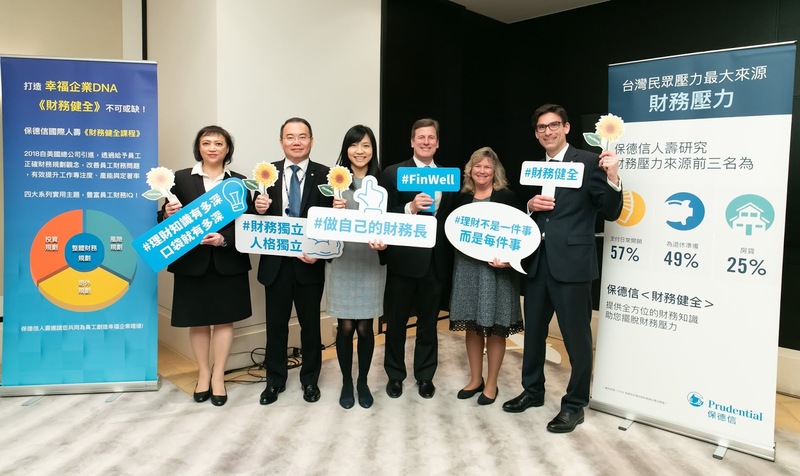 -The result of these efforts is a Financial Wellness educational series for Taiwanese companies and associations that has the four core modules including financial planning, risk planning, investment planning and retirement planning. Featuring a practice-based approach and covering all the leading financial concerns of Taiwanese people, the program provides a well-structured learning roadmap in addition to readily accessible smart tools to help users gain the financial literacy skills required for managing day-to-day financial affairs and developing a financial plan for long-term goals towards financial wellness. Tyson called on companies and organizations to jointly and systematically enhance the financial literacy of their employees or members. In light of the effect of institutional support and collaborative learning networks on improving personal financial health, Tyson suggested that Financial Wellness education initiatives should be built into employee benefits programs. “Better knowledge about financial matters will make managing personal finances less stressful and decrease at-work distraction. This brings two benefits: it makes maintaining personal financial well-being easier for the employees while improving workplace productivity,” Tyson explained. Prudential has been committed to delivering financial security and peace of mind to individuals and families since 1875. POT earnestly invites all companies and organizations to join its Financial Wellness education program to enhance employees’ financial literacy -- to take them forward towards financial well-being in a rapidly changing world. With the guidance from the program, employees will be able to assess their current financial situation and identify solutions to take steps to achieve their financial goals. For more information about Financial Wellness, please go to http://finwell.prulife.com.tw. The State of Financial Wellness in Taiwan is based on the survey conducted for POT by Nielsen Taiwan, among representative sample of 1,002 Taiwanese adults aged 20 to 70. Data was collected using an online survey for those under age 55 and face-to-face interviews for those over age 55. To ensure that the results are representative of the market, data was weighted using age, gender, region, and annual household income. The survey was fielded between November 27 and December 10, 2018. The margin of error for this study is +/- 3.1%.